The University provides a variety of academic support services that complement its academic programs and help students achieve their educational goals. The Office of Student Recruitment and New Student Programs coordinates programs that inform first-year students, transfer students, and prospective students about the educational opportunities available on campus. Examples include New Student Orientation, Transfer Transition Workshops, Pathways and Dual Credit Orientations, and Island Days. New Student Orientations provide first-year students with information regarding academic advising and registration. Advisors assist students in selecting the courses for their first semester at A&M-Corpus Christi. Parents who attend the orientation program have their own activities and have opportunities to meet key faculty and administrative personnel for an exchange of questions and ideas. Transfer Transition Workshops provide transfer students with information and allow them to meet with academic advisors, become familiar with the campus, and register for classes. New Student Orientation programs are offered prior to the fall and spring semesters. Students are be provided with orientation dates upon their acceptance to the University. Campus tours are available throughout the year. The Office of Student Recruitment and New Student Programs is located in the Student Services Center. For additional information on orientations, visit the Orientation website. For additional information on tours, visit the Tours website. Academic advising centers are housed in each college and staffed by full-time academic advisors. Undeclared/exploratory students are advised through the Department of Undergraduate Studies located in the Faculty Center. Full-time academic advisors are available to assist students with their educational plans, course selections, degree requirements, and other academic matters. Academic advisors support students from the time of their initial enrollment to the successful attainment of their educational goals. An additional feature of the academic advising program is the direct involvement of University faculty as advisors or career mentors. To learn about advising, visit the Academic Advising web site. The Office of Academic Testing provides testing services for students and the community. Some of the exams administered include the COMPASS, CLEP, LSAT, THEA, the Major Field Test, and correspondence exams. Students are required to take a TSI-(Texas Success Initiative) approved exam (ASSET, ACCUPLACER, COMPASS, or THEA) prior to enrolling in college-level courses. For information on TSI exemptions, see the “Admissions ” section of the catalog. For information on TExES examinations, see the “College of Education and Human Development ” section of the catalog. Please visit Office of Academic Testing website for other services provided by this office. The Center for Academic Student Achievement (CASA) is committed to providing academic support services to assist students reach their educational goals and becoming successful in the university environment. CASA programs are designed to improve the retention and graduation rates of University students. Available academic support services include tutorials, the Writing Center, supplemental instruction, mentorship, developmental education, and student retention assistance. Students are encouraged to visit CASA, located in the Glasscock Student Success Center, or visit the CASA website for hours of operation and schedule of services. The needs of students coming to CASA are assessed and academic support services are recommended to assist students in reaching their academic goals. The Center’s services consist of tutorials in most core subjects, The Writing Center, Supplemental Instruction, mentorship and retention programs, study skills and developmental education (TSI) support. Services are free and available to all A&M-Corpus Christi students. In order to utilize academic support services, a student must be enrolled at A&M-Corpus Christi. CASA operates on a walk-in basis. CASA’s First Scholars’ Academy (FSA) is a program designed to assist first-time-in-college first generation students through peer and professional staff mentorship. In addition to the FSA mentors assigned to participants, the FSA program assists in pairing students and volunteer mentors from University faculty and staff in the students’ major field. The Islander Success Advocate Program is designed to mentor first year students. The Islander Success Advocates are academically successful, upper division undergraduate students who are trained to help first year students make a smooth transition while ensuring academic success. For additional information, contact the Islander Success Advocate Office at 825-5933. Hosted by CASA, Starfish Early Alert Warning and Connect is an early warning alert system for undergraduate students at Texas A&M University-Corpus Christi. The software is designed to assist faculty in communicating course progress feedback to students and connecting students with their “Success Network” comprised of faculty, advisors, mentors and other campus support units. For additional information, visit the Starfish Early Alert website. CASA offers Supplemental Instruction (SI) that is designed to increase student performance and retention. This program targets large entry-level courses and provides regularly scheduled, out-of-class, peer facilitated sessions. Schedules are available online at the CASA website. CASA Retention Specialists coordinate the Texas Success Initiative. TSI requirements are discussed in the Admissions section in the catalog under ”Texas Success Initiative (TSI) ”. Retention Specialists also assist first year students in developing a success plan. For additional information, please call the Retention Specialists at (361) 825-2977. CASA provides tutorial assistance to students in most core courses on a walk-in-basis. Subjects include mathematics, science, statistics, business, accounting, and reading, among others. For schedules of tutorials, visit the CASA website. The CASA Writing Center supports the writing process of all student writers. The Writing Center offers face-to-face and online writing consultations as well as faculty-requested writing workshops. Though the Writing Center does accept walk-in sessions based on consultant availability, those seeking assistance are strongly encouraged to schedule an appointment by visiting the CASA website. Most sessions are 30 minutes in length for undergraduate writers. For information on library resources and services, see “Mary and Jeff Bell Library ” in the”General Information ” section of this catalog. Student Engagement and Success aims to foster a healthy academic climate and professional atmosphere that promotes and encourages student leadership, learning, and growth. Services and programs are designed to meet the needs of students with varied backgrounds and interests. Music, arts, special events, and multicultural programs contribute to a positive experience on campus and promote an understanding of a diverse and changing global community. Student Engagement and Success is made up of various departments, including Career Services, Housing, Recreational Sports, University Center and Student Activities, Student Conduct, Disability Services, University Counseling Center, and University Health Center. The Division collaborates with all departments on campus to assist students in the attainment of their personal and academic goals. A major strength of A&M-Corpus Christi is that students participate in a variety of out-of-class activities. Activities begin with orientation and include a number of campus organizations and sports clubs that provide a wide range of leadership experiences. Student services are designed to help students attain their desired degrees, learn healthy lifestyle habits, and gain employment or admission into graduate school. For additional information, see the Student Engagement and Success website. The Student Engagment and Success office is located in the University Center. Career counseling, computer-assisted assessment, and vocational guidance, which help students explore career options beginning in their first semester. Students may meet with a Career Counselor to explore interests and values, with a view toward choosing a career. For students who are experiencing difficulty choosing a major, this can be a useful process of self-exploration. Job search and graduate school advisement. Student employment services: assistance in finding on- or off-campus employment. Internship and co-op placement assistance for students at all levels. On-line job listings via Career Services website. On-campus recruiting and Job Fairs throughout the year targeted at different majors. Career Resource Library and Computer Lab. Career seminars, workshops, and Business Etiquette Dinner. Videotaped “mock” interviews with trained counselors and professionals. Career Services is located in the University Center. For information, visit the Career Services website. The Chancellor’s Student Advisory Board is the official student voice to the system leadership. The Board is comprised of two students from each system institution. On-campus housing is available through two communities. Islander Housing, the Island Campus, offers both residence hall and apartment room styles. Momentum Village, located in the Momentum Campus, offers apartments and townhomes. Living on campus can provide many rewarding extracurricular experiences. Financial aid may be used to cover the cost of campus housting. Studies have shown that students who reside on campus are more likely to graduate on time and with higher GPAs. For more information, please visit the Housing website. All A&M-Corpus Christi students and employees ride the Corpus Christi Regional Transportation Authority (RTA) buses free of charge by showing their Sanddollar ID card. Plan a trip anywhere RTA services through Google Maps by selecting the ‘public transit’ method of transportation (train icon). For bus route information, visit the CCRTA website or call RTA (361) 289-2600. For paratransit transportation services, please call 361.289.5881 or visit CCRTA and select Paratransit from the Rider menu. If you have questions or concerns regarding this service, contact the RTA at the number above or call the Division of Student Engagement and Success at 361.825.2612. Judicial Affairs Officers strive to protect the University’s educational community and to maintain social discipline through the administration of the Student Code of Conduct. Inappropriate behavior will be investigated and adjudicated in a manner consistent with the institution’s educational and community development goals. The Student Code of Conduct is available at the Judicial Affairs website. The Recreational Sports program provides facilities, equipment, and opportunities for participation in a wide variety of sports and recreational activities. The activities range from highly competitive and structured to informal, social activities. A variety of programs are offered including intramural sports, fitness and wellness classes, informal recreation, sport clubs, aquatics, outdoor adventure, and special events. The Dr. Jack and Susie Dugan Wellness Center includes a gymnasium, free weights, weight machines, cardiovascular exercise equipment (treadmills, elliptical trainers, steppers and bikes), multi-purpose group exercise rooms, and offices for the Recreational Sports Department and Intercollegiate Athletics Department. The adjacent outdoor complex includes multi-purpose playing fields and a 25-yard outdoor seasonal pool. Each semester Recreational Sports employs students to work as intramural supervisors and officials; lifeguards; facility assistants; and supervisors; group exercise instructors and personal trainers. Work study and non-work study positions are available. No experience is necessary. Training for all positions is conducted or facilitated by the Recreational Sports Department. The Recreational Sports Department Office is located in Room 107 of the Wellness Center opens. For more information, visit the Recreational Sports website. The University Center and Student Activities (UCSA) encourages, supports and commits to providing leadership development and involvement opportunities for the campus to inspire people to be their best self. We are dedicated to enhancing the student experience by fostering community in an inclusive environment where our campus can engage, learn, and laugh with one another. Our departments provide and promote involvement in quality programs, activities, and services for diverse populations as well as providing well managed facilities which are safe, clean and enjoyable for the campus and surrounding community to use. The University Center provides table seating, lounge space, a game room and large flat-screen TVs for the campus community to enjoy. A number of small to large meeting and event spaces are available for use. The UCSA is also home to more than 100 student organizations and coordinates a variety of special events and activities, leadership programs and cultural events throughout the year. UCSA is also one of the largest student employers on campus. For additional information, visit UCSA website. Aloha Days provides incoming first-year students with an optional summer camp experience designed to aid in their successful transition to Texas A&M University-Corpus Christi. Student leaders serve as camp counselors and facilitate activities, discussions, games, and presentations. During Aloha Days, first-year students develop friendships with current students and university staff, learn about the benefits and opportunities for leadership involvement, understand the values of diversity, learn more about themselves, and of the pride in the growing traditions, spirit, and rich heritage of A&M-Corpus Christi. Through Aloha Days, students will begin to find their “anchor” and feel more at home on the Island before classes begin. For additional information, visit the Aloha Days website. The Campus Activities Board (CAB) is responsible for providing a variety of social, recreational and educational programs to the campus community for little or not cost. Students develop leadership skills while budgeting, planning, marketing, and evaluating each event. For a listing of upcoming events visit the CAB website. Fraternities and sororities are value-driven student organizations based on brother/sisterhood, leadership, service and academic success. The Greek Life community strives to enhance the college experience and complement the mission of the university through engagement, service, scholarship, diversity and leadership. The community strives to maintain a respectful and unified environment where members and their organizations can positively develop into responsible global citizens. For more information visit the Greek Life website. The Islander Cultural Alliance (ICA) is a student organization that organizes and promotes multicultural programs on campus. It is also a place where individuality is encouraged and differences are respected. It focuses on creating an inclusive campus environment through cultural awareness and education. ICA events celebrate Black History Month, Disabilities Awareness Month, Gay, Lesbian, Bisexual, Transgender, Questioning and Allies Month, Hispanic Heritage Month, Women’s History Month, and Asian Heritage Month. For more information visit ICA website. Established in 1994, the Student Government Association is a student-run, campus wide organization that provides students with a voice in the decision-making process of the University. SGA members are the link between students and the administration of TAMU-CC. SGA strives to improve communication, enhance leadership abilities, hone critical thinking skills, and successfully build relationships with staff, faculty and peers. The Student Government Association (SGA) is composed of the Executive Branch, Class Senators, College Senators, and the Judicial Branch. The SGA President, Vice President, Class Senators and College Senators are elected in the spring semester for a term of one year. Elections for freshman senators are held in September. The Judicial Branch is appointed by the SGA President and approved by the Student Senate. For more information, visit the SGA website. The Student Volunteer Connection (SVC) aims to get A&M-Corpus Christi students actively involved and committed to community service. It’s mission is to unify the campus community and the Corpus Christi community through service. SVC makes community service opportunities more accessible to students by offering a variety of volunteer programs and events such as Islander Clean, National Hunger & Homelessness Awareness Week, and Green Week. Their Big Event is a one big day of service in which the campus community comes together to express their gratitude for the surrounding Corpus Christi Community. The Alternative Breaks program provides opportunities for students to engage in direct hands-on service and experiential learning through travel outside of the Corpus Christi community. For more information visit the SVC website. University Center Programs (UCP) are designed to engage students in a variety of ways, providing passive and active lunch time activities and entertainment in and throughout the University Center. Activities and events include Karaoke, Late Night Breakfast, Study Center and other social and fun activities. The University Council of Student Organizations (UCSO) is a governing body for student organizations and includes representatives from each student organization. UCSO meets monthly to determine policy and funding for over 100 student groups that exist on campus. There are many types of organizations, including: academic, honor societies, special interest, political, faith-based, cultural, professional, and other interest groups. A current list of recognized student organizations is available in the Student Organization Center University Center. For more information visit UCSO website. UCSA Leads offers students the opportunity to improve leadership skills to become more marketable and global leaders. Centered on the belief that leadership is an important part of being the best verison of yourself, the program works on developing awareness and personal leadership that can benefit any student regardless of positions held. UCSA Leads offers a variety of programs including Leadership Hour, Islander Leadership Conference, Weekend Leadership, Workshop To-Go and Sigma Alpha Pi, the National Society for Leadership and Success (NSLS) Honor Society. For more information visit the UCSA website. Waves of Welcome (WOW) is designed to help students become familiar with A&M-Corpus Christi and its traditions. WOW provides an opportunity for students to meet their fellow Islanders, network with faculty and staff, and connect with student leaders. By attending open houses, special programs, meetings, and other activities, students learn more about the many resources available to help them succeed academically and get the most out of their college experience. The Waves of Welcome schedule is distributed at the beginning of the fall and spring semesters. For more information visit WOW website. Texas A&M University-Corpus Christi is committed to promoting equal opportunities for students with disabilities to access campus facilities, resources, and programs. Support services and reasonable academic adjustments are arranged for students with permanent or temporary disabilities through the Disability Services (DS) Office. The DS Office is located in Driftwood 101. Students with permanent or temporary disabilities who qualify for support under Section 504 of the Rehabilitation Act and the Americans with Disabilities Act of 1990 must self-identify and register with the Director of the DS Office. To qualify for services students must 1) be admitted to the University 2) present appropriate and current documentation of their disability from a qualified professional and 3) register with the DS Office each semester. Advance planning by the student with the Director or Assistant Director of the DS Office is necessary to ensure adequate time to arrange for appropriate accommodations. It is recommended that requests for services and/or academic adjustments be made as soon as possible. Requests for services requiring extensive preparation (e.g., interpreter services, adaptive and assistive equipment, textbooks in alternate format, etc.) may need up to 30 days to process. For additional information please call (361) 825-5816 or visit the DS website at http://disabilityservices.tamucc.edu. The University Counseling Center helps students resolve problems that can interfere with meeting the demands of college life and offers a variety of services for students who want to develop skills and resources to be personally and academically successful. UCC services are funded through the Student Services fee and are available to all currently enrolled TAMUCC students at no additional charge. Counseling Center records are kept strictly confidential and are not released without the student’s written permission except under certain legal conditions. Services include brief individual counseling, academic skills counseling, psycho-educational workshops, limited psychiatry services, alcohol and other drug treatment and education, and consultation. The Counseling Center also offers a Relaxation Room which is a quiet, peaceful space for students to develop and practice relaxation skills that can enhance their academic productivity and their sense of well-being. Students who are interested in scheduling an appointment for counseling or to use the Relaxation Room can stop by the University Counseling Center for a brief meeting with the Counselor on Duty (COD). The COD will assist the student with scheduling an appointment and/or provide referrals to community resources if needed. Common concerns addressed in counseling include adjustment to college, maintaining healthy relationships, academic pressures, test anxiety, drug and alcohol concerns, family conflicts, anxiety, depression, and multicultural issues. The Counseling Center is located in the Driftwood Building. Hours are Monday through Friday, 8am-5pm. Call 361- 825-2703 or visit our website http://counseling.tamucc.edu for more information. Administration of allergy shots - Student provides serum from allergist. Students are encouraged to submit immunization records voluntarily in order to assure the availability of a more complete medical record while a student at Texas A&M-Corpus Christi. Student Health Services strongly recommends that every student, and their family members, review our updated list of immunizations most appropriate for university students. This list of recommended vaccines was compiled by the American College Health Association (ACHA) with assistance from the Advisory Committee on Immunization Practices (ACIP) of the Centers for Disease Control and Prevention (CDC). See Recommended Immunizations. TAMU-CC policy requires tuberculosis (TB) screening for newly admitted international students from countries where there is a high incidence of tuberculosis (as designated by the World Health Organization). Students with identifiable risk factors for exposure to TB, or for the TB disease, need to be tested and treated as necessary, to be allowed to register for second semester classes. Before registering for second semester classes, students will be required to provide proof of compliance to the TAMU-CC Health Center. Detailed information about screening and treatment for tuberculosis can be found at the following website: http://www.cdc.gov/tb/. In collaboration with the Texas A&M University System, a private insurance plan is available at special rates to students attending A&M-Corpus Christi. All non-insured students are strongly encouraged to consider the benefits of enrolling in a health insurance program. Information brochures regarding this health plan are available in the University Health Center or at www.tamuinsurance.com. Click here to view the university crime log. After a 25-year absence from athletic competition, Texas A&M University-Corpus Christi has reinstated Intercollegiate Athletics. Implementation of the sports programs began in the fall of 1998 and was completed in the fall of 2001. Additionally, the university became an official NCAA Division I participant in 2002. Athletic teams at A&M-Corpus Christi are known as the “Islanders,” and the official school colors are blue, green, and silver. Islander Athletics sponsors 14 sports programs: eight women’s sports and six for men. Women’s sports include tennis, golf, basketball, softball, volleyball, cross country, and indoor and outdoor track and field. Men’s sports include tennis, basketball, baseball, cross country, and indoor and outdoor track and field. In 2006, A&M-Corpus Christi became a full-fledged member of the Southland Conference, an event marking a milestone in the annals of Islander Athletics. Consequently, for the first time in its athletic history, the Islanders can play for regular and post-season conference championships and automatic NCAA Tournament appearances. For more information on Islander Athletics, please call (361) 825-5541. The Office of International Education (OIE) was established to support all international students on campus as well the study abroad programs. The OIE serves English as a Second Language International (ESLI) students and those who are enrolled in the university as undergraduate or graduate students. The OIE holds social and informative events for the international population at A&M-Corpus Christi. For more information contact the Office of International Education at (361) 825-3922, visit the office in CCH 126, or visit the website at http://oie.tamucc.edu/. The OIE invites international and domestic students as well as faculty, staff and community members to participate in all activities organized by and services provided by this office. We promote cross-cultural interactions through educational, social, and cultural programs and facilitate the adjustment of the international students to their new environment. Texas A&M University-Corpus Christi (TAMU-CC) is committed to providing access to international education opportunities for all students. TAMU-CC is dedicated to creating an inclusive community and establishing collaborative relationships across cultures. TAMU-CC aspires to enrich and educate without exclusion and foster responsible global citizenship. The Office of International Education (OIE) through Study Abroad Programs (SAP) promotes international learning environments that embrace diversity. The mission of the Study Abroad Programs is to provide a variety of educational experiences abroad, be it through faculty-led programs, reciprocal exchange agreements, independent programs, or by participating in the Texas A&M University System (TAMUS) Study Abroad partnership programs. The TAMUS Transient Study Abroad Programs allow A&M System students to participate in system-wide study abroad programs. These programs are credit-bearing, international study-travel courses. They are led by one or more University professors and usually last between one to five weeks. Students travel as a group to one or more international locations, where there is a mix of lectures, exercises, assignments, excursions, cultural encounters, and free time. There are certain programs that are open only to students in a particular college, while others are open to all A&M System students. A reciprocal exchange involves an agreement between two universities to exchange students. Tuition and fees are paid at the home university while studying at the host university. When a student participates in a reciprocal exchange, the student remains enrolled at the home university, allowing students to receive credit. Proficiency in the language of the host country is required; however, some programs are available in English speaking countries. Students have the option to apply directly to an international university, or apply to an institute or organization, or to a sponsoring U.S. University. Graduate students may conduct research abroad coordinated by a TAMU-CC faculty member. Students who receive federal financial aid for on-campus study may use their aid for study abroad. Financial Aid counselors work with each individual student to ascertain their eligibility and give students accurate information. The University also offers the International Education Scholarship to all students meeting the general requirements. There are prestigious national grants and scholarships specifically for study abroad including Boren Awards for International Study, Benjamin A. Gilman International Scholarship, Gilman International Scholarship, and Fulbright Scholarship. The Texas A&M University-Corpus Christi Alumni Association exists to strengthen and promote the interests and welfare of A&M-Corpus Christi through the lifelong commitment and support of its alumni and friends. Through a variety of actions, events, services and communications, the Association promotes positive interaction between the University and its alumni. The Alumni Association considers as members all graduates from this institution during its history, whether as the University of Corpus Christi, Texas A&M University at Corpus Christi, Corpus Christi State University and Texas A&M University-Corpus Christi. Active membership is granted to individuals who donate to the University’s Islander Fund Campaign. 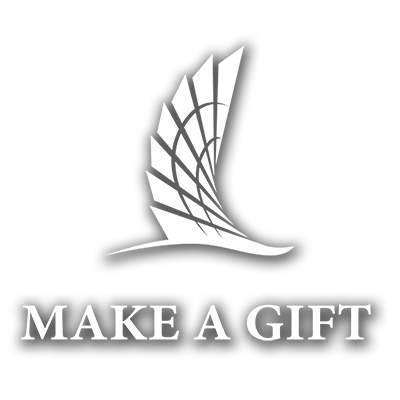 Gifts to the Annual Fund enhance the current academic programs on campus. Alumni Association members receive several benefits, including membership in Islander clubs, subscription to the Islander magazine, participation in Alumni Association affinity programs, and access to an interactive alumni Web site. All members of the Alumni Association are encouraged to submit updated information about their personal and professional lives as well as address and phone number corrections. Updated information allows the Alumni Association to keep in contact with its members. The Alumni Association assists the Student Foundation Association, a student group dedicated to building strong future alumni through a variety of special events and projects. The Student Foundation Association sponsors the Walk of Recognition, and Islander Revue. Funds raised from these projects go toward building the Leadership Scholarship Endowment. For additional information about the Alumni Association or alumni matters, contact the Alumni Office at (361) 825-5787, visit the Alumni Office in the Lee Alumni Welcome Center, or go to the Alumni Association’s Web site at www.islandernetwork.com. The Alumni Office’s toll free number is (877) 482-6822 or (877) 4-TAMU-CC. To update address or telephone records, call the Advancement Services Office at (361) 825-2420 or go to the above Web site. Students who are interested in joining the Student Foundation Association should call (361) 825- 5558. Texas A&M University-Corpus Christi is committed to meeting the life-long educational needs of citizens throughout South Texas. The mission of Community Outreach is to educate and serve the community by extending A&M-Corpus Christi beyond the campus. Community Outreach accomplishes its mission by providing a wide variety of services to a diverse group of citizens and organizations. It offers continuing education, professional development, personal enrichment, test preparation, business assistance, custom training, conference and event management, and youth programs. Through the Pollution Prevention Partnership, Community Outreach delivers nationally recognized environmental education and outreach programs, including compliance assistance, health research, vehicle emissions monitoring, teacher education, and community education. Community Outreach also supports A&M-Corpus Christi’s service mission by facilitating community engagement activities where faculty and students assist non-profits, government agencies, businesses, and other organizations. To increase available resources, Community Outreach maintains cooperative relationships with other institutions and agencies of The Texas A&M University System, as well as a wide variety of community service organizations. Additional information on specific Outreach programs is available at outreach.tamucc.edu.